A Touch of Prestige offers full-service home staging in its entirety, including the decluttering, cleaning, and staging of our client's homes. Whether you're looking to stage your home to sell or simply want to freshen the design of your interior, we are the go-to specialists to give your home the Prestige Touch. We are a full-service home staging and re-decorating firm, fully insured and incorporated in Canada. At Design To Go, our mission is to maximize equity. We provide the finest full-service home staging and interior decorating services in the most cost-effective way possible while maintaining the highest level of service and exceeding our clients’ expectations. Staged 2 Sell Solutions Inc. Staged 2 Sell Solutions Inc. is an international award winning home staging company that helps home sellers and real estate professionals sell their properties faster and for more money. We are masters in maximizing the selling features of a property and minimizing its flaws. We also offer interior decorating and room make-over services. Monica Stanciu is the only Canadian stager who won 5 times the "RESA Professional Stager of the Year award" for vacant or occupied properties in 2017, 2015, 2014, 2013 and 2012. The Go To Girl when you want your property prepared for sale. Moving into a new condo and starting from scratch... the Go To Girl will provide everything from dishes to furniture! Superior Staging & Design is a Home Staging and an Interior Design company where every relationship matters. We have a deep understanding of the current real estate market in Toronto, design trends and experience staging vacant and occupied residential resale. Our certified home staging designers can help you achieve the best desirable look for your home so it can be sold at its full potential for the top dollar! Each property is different, and we want your home to be aesthetically welcoming and inviting to your target buyers. Our design considers both functional and the appealing aspects to showcase the property to its best. Our projects are completed within budget and timeline. By using our home staging services, no matter the property is a 2-bedroom condo or a 3500 square feet estate home, the seller can rest assured that the property will be ready for the market on time and will be at its full potential! Realtors love to use our home staging services because we are absolutely dependable and they know their clients are in good hands, plus their satisfaction is guaranteed. If you are a realtor, call to find out our special rate just for you. We also provide furniture rental with a different style of furniture at a competitive rate. Studio Sheen is founded on the vision of bringing high-end luxury design to a wider range of customers at a more affordable price through home staging, as well as end-to-end interior design services. Google Reviews: <a rel="nofollow" target="_blank" href="https://goo.gl/itLX5F">https://goo.gl/itLX5F</a> Staging Services: STAGING D. I. Y. - A thorough walk-through of the house with our lead stylist to address repair, de-clutter, de-personalization, wall colour, decor and furniture placement - EVERYTHING needed to make your listing market ready. OCCUPIED HOME STAGING - After a thorough consultation, our team will pick high-end art work and accent pieces to fit and flow with the style of the house. Service includes delivery. set-up and removal of rental pieces and up-scaling the entire property. VACANT HOME STAGING - Using trend furnishing while balancing the requirement of the property with your budget to deliver exceptional results. Our team has transformed even the most uninviting spaces into one that buyers will fall in love with. CONDO STAGING - Planning and setting-up to cater to the right demographic is crucial when staging a condo. Our designers are experts at picking the right furniture and accessories to deliver the look today's condo buyer is seeking. Give us a call to also learn about our customized interior design services that adapt to your and your home's needs. Staging2Sell is Professional Real Estate Home Staging company with more than 7 years of experience transforming home spaces into attractive, eye-catching environments appealing to a larger number of potential buyers with a cost-effective approach. 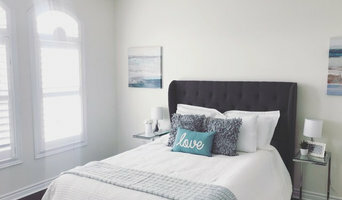 2 Sisters Homestyling specialize in home staging and home styling services for home owners, builders, property investors and real estate agents in Toronto, Markham, Richmond Hill, Scarborough, GTA and Vaughan area. 2 Sisters Homestyling’s mission is to provide clients with their creative design to showcase the property’s inherent features to appeal to the broadest buying demographic with a competitive advantage in today’s housing market. Full service home stagers and interior designer. From start to finish, we transform homes and condos, to sell in the shortest amount of time, for the highest value. Our speciality is helping your home speak to buyers, with modern design and style. 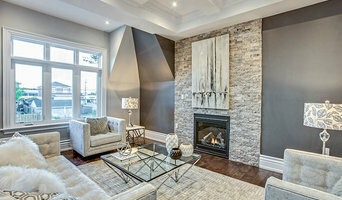 What does a Vaughan home stager do? 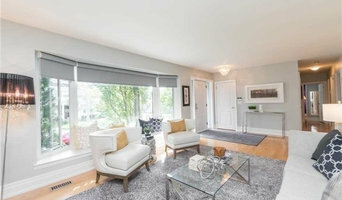 Home staging companies in Vaughan, ON employ a variety of different techniques to present the home in the best light possible. The first step will likely be to make sure the home is impeccably clean, including the exterior of the house. Next the home stager will work on removing the personal touches that are unique to the current owners. Paint colors might go from dramatic reds and purples to neutral tones like beige and taupe, in order to appeal to the masses. The home will likely be cleared of family photos, risqué artwork, collections and knickknacks, so potential buyers will be able to better envision their own life in the house. In some cases furniture will be swapped out, and you might not even recognize your own house. Some Vaughan home stagers tackle most of these tasks themselves, while others work with subcontractors and other professionals to get the job done. Here are some related professionals and vendors to complement the work of home stagers: Interior Designers & Decorators, Photographers, Real Estate Agents. The process of staging a home can be difficult for some homeowners, especially when being asked to change things you’ve poured your heart and soul into over the years; but try not to take anything personally, as the stager only has your best interest in mind and no intention of insulting your personal taste. Before you contact a professional home staging company in Vaughan, ON, make sure to consider a few things: Are you willing to change your home and take the advice of this professional to help sell your house? Do you think your house would greatly benefit from the help of a stager? How long are you comfortable having your home on the market? A staged home is likely to sell faster and, on occasion, at a higher asking price than a non-staged home. While there is no guarantee this will always be the case, it’s often true and can make the entire selling and moving process a lot less stressful in the long run. If you are selling through a real estate agent, it’s a good idea to get their opinion on whether staging your home would be beneficial to your specific situation. Find a certified Vaughan home stager on Houzz. Narrow your search in the Professionals section of the website to Vaughan, ON home stagers. You can also look through Vaughan, ON photos by style to find a room you like, then contact the professional who staged it.